FINALLY! In June, a brief meander through the Tyson's Galleria revealed a soon to be opened C.Wonder. There was a mistake on the signage though, and the painter meant to insert the words "not any time" before the word "soon." After the Grand Opening was moved a few times, I classified it as yet another Retail Myth, a grand opening that was long on grand and short on actually opening (I'm looking at you, Jonathan Adler Georgetown). But WaPo's Going Out Gurus blog announced this week that it is OPEN. So I got right down to business and put together a shopping list. 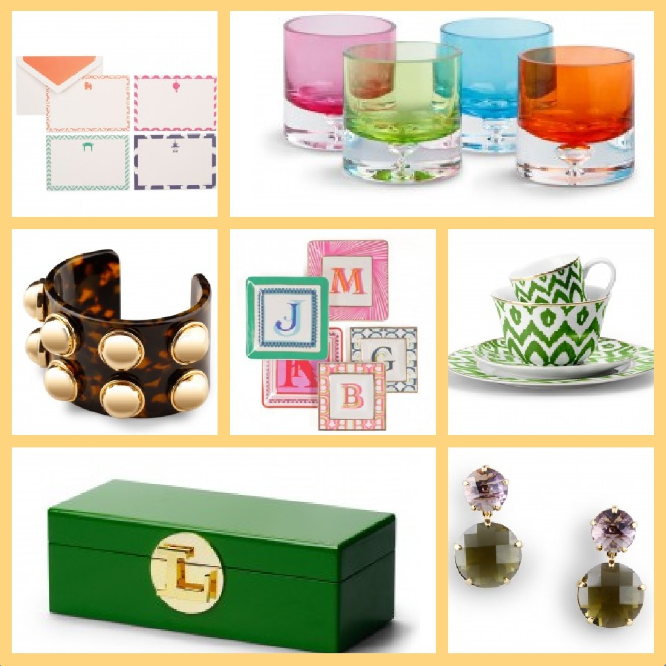 /Chinese Icon Notecard Set, $10/ Color Glass Votives, $8/ Green Ikat Dinnerware, $10-$14/ Monogram Decorative Plates, $38/ Studded Tortoise Cuff, $58/ Monogram Jewelry Box, $78/ Bling Drop Earrings, $44/ All also available online, HERE.